Harvey Milk sits outside his camera shop in San Francisco shortly after his election in 1977. 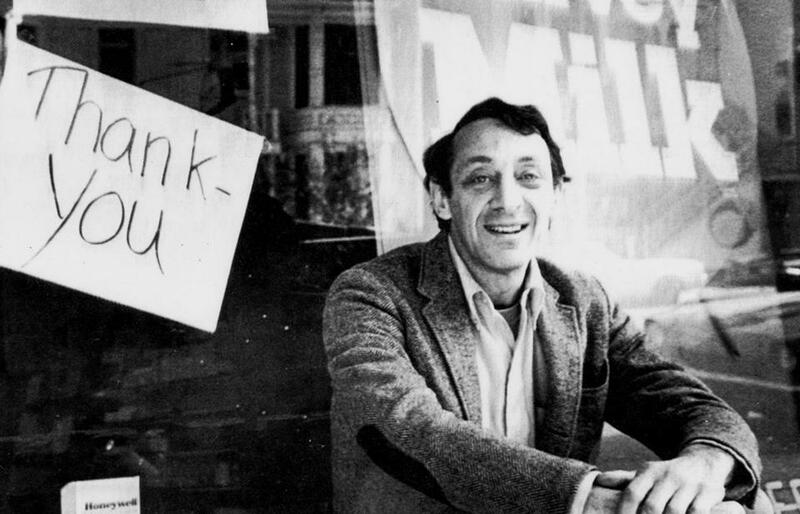 If you grew up gay or lesbian in the 1970s, Harvey Milk may have been the first person to let you know you weren’t alone. Elected in 1977 to the San Francisco Board of Supervisors, Milk was one of the first openly gay men to hold public office. He served only 11 months before a homophobic former supervisor shot him, and Mayor George Moscone, to death in November 1978. Yet it’s what Milk did during his brief tenure, not how he died, that earns him comparsions to one of his heroes, Martin Luther King Jr. Milk was integral to the 1978 defeat of a statewide initiative that tried to prohibit lesbian and gay people from working in California schools. That ban would also have included any public school employee who addressed homosexuality in positive terms. Still, as a new biography shows, Milk’s greatest achievement may have been his brash visibility, and his plea to those concealing their sexual identity to claim their place in the world. “Movements need heroes,” said Lillian Faderman, author of “Harvey Milk: His Lives and Death.” On Wednesday, she’ll discuss her book, the first Milk biography since Randy Shilts’ “The Mayor of Castro Street” in 1982, at the Harvard Book Store in Cambridge. Cities across New England (and the country) will be playing host to parades, festivals, and other events for LGBTQ communities. 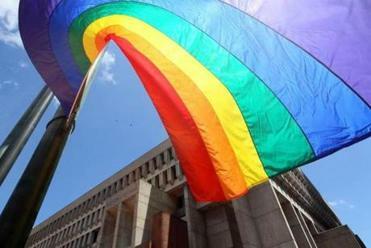 Boston’s Pride Week starts June 2, culminating in its annual parade next Saturday winding through the South End and Back Bay. It’s a long way from my first Pride 30 years ago in South Florida in a packed arena, concealed behind closed doors. In retrospect, it felt like a massive closet. In Faderman’s book, part of the Yale University Press’ Jewish Lives series, she portrays Jewish identity as a driving force in his activism. Born in 1930, Milk was raised on New York’s Long Island, where anti-Semitism was common. The Klan held rallies and cross burnings. Pro-Nazi groups flourished, preaching lies about Jewish treachery. In his confession, White said he killed his former colleagues because “I saw the city kind of going downhill.” Of course, White wasn’t just fighting Milk or Moscone. He was tilting against time itself, battling a changing society that would leave him behind, and on the wrong side of history. To be fair, Milk wasn’t the first out gay person to serve in public office. That distinction belongs to Kathy Kozachenko, who won a seat on the Ann Arbor, Mich., City Council in 1974. That same year, Massachusetts’ own Elaine Noble was elected to the state legislature. Today we take for granted out LGBT people such as Apple CEO Tim Cook, actress Laverne Cox, and MSNBC host Rachel Maddow. Certainly, LGBT folks have always been everywhere. They taught us, fought in our wars, entertained us on television, and patrolled our neighborhoods. We just didn’t know it. That’s what Milk worked for and gave his life to change. “If a bullet should enter my brain, let that bullet destroy every closet door,” Milk said in 1977. In the nearly 40 years since his assassination, his words continue to awaken stymied lives, as they once compelled many of us to forever abandon our closets. Like King, Milk still marches with us. With LGBT lives threatened by a hostile administration, his words offer strength, direction, and a reminder to all that LGBT rights are civil rights.